Playstation 3 Pirateada - Noticias en Taringa! Yes, you're reading the headline correctly, the PlayStation 3's firmware has been cracked. And what exploits can this bring? Well, the most notorious of them all, playing pirated games. But whoah, whoah, hold on there, skipper. You see, unlike the PSP where firmware updates didn't really offer too much, the PS3 is a completely different beast. The PS3's firmware has already given us gems like enhancing backwards compatibility and DVD upscaling. Likewise, new games will require a system to have the newest firmware installed in order to be booted (just like PSP games). But, the most pinning reasons why pirating PlayStation 3 games just isn't a good idea are simple. 1) A recordable Blu-Ray disc costs in the neighborhood of $40. 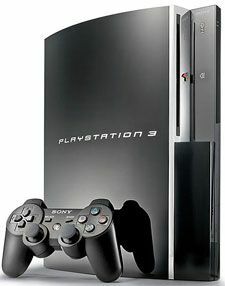 2) PlayStation 3 games will soon range between 20-40GBs in size and that's a lot to download, even for today's broadband connections. 3) Just like Microsoft, if you get caught with piracy, Sony will likely axe you (read: ban you) from the PlayStation Network. Don't succumb to the stupidity of piracy.